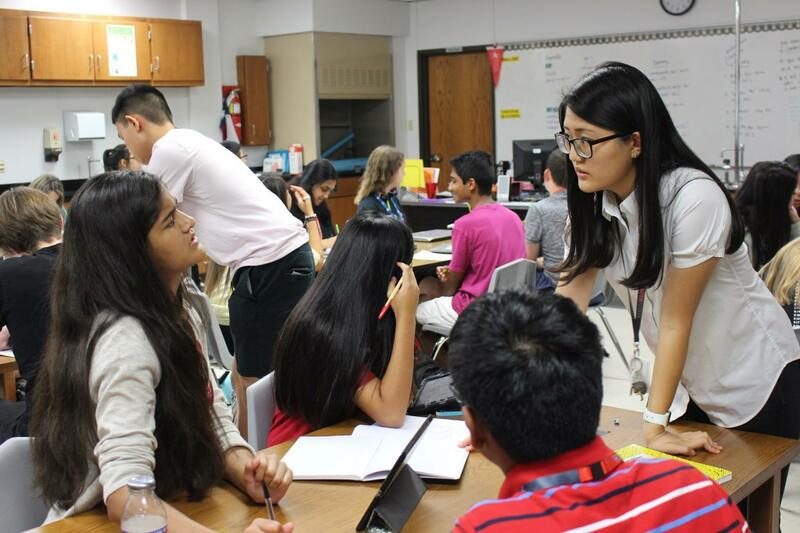 During third period on Monday, Coppell High School AP/GT Physics I teacher Cynthia Lee answers class questions regarding the notes in order to help students study for an upcoming test. The first unit of the year is motion and learning how to correctly use significant figures which will then help students throughout the rest of the year. This year, students walking into room B124 have been greeted by a handshake at the door and a new face: AP/GT Physics I teacher Cynthia Lee. 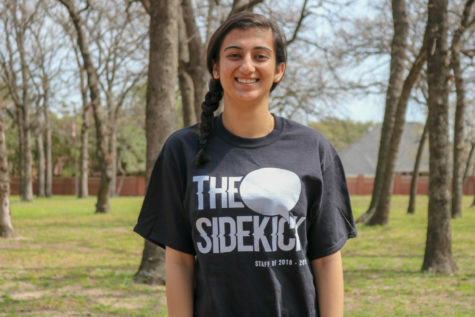 Lee graduated from the University of Texas at Dallas in 2017, and though she did serve as a student teacher at Haltom Middle School for eighth grade science class, this is her first year having a classroom of her own as well as her first year teaching at Coppell High School. Read more to find out about her passion for science, experiences as a new teacher and more. How has your experience been at CHS so far? It’s been a very positive experience. I’m really loving the kids here and the culture. I’ve never been one for school spirit, like as a student—I was always like, “get me out of here”, I was never participating, but I’m excited to see a lot more spirit going on, a lot more cohesive unity in students. How long have you been interested in science, and what caused you to become interested in the subject? I’ve always been a science person, ever since I first got introduced to the concept in like seventh grade. But I had a teacher [Mr. Ramirez, Cypress High School in Cypress. Calif.] ninth grade who taught me Honors Biology, who was honestly the most passionate person I’ve ever met. He’s not the most exciting person when you first meet him, but once he starts lecturing, his eyes start to twinkle, and that was like a revolutionary experience for me so I was like “OK, maybe this is something I really like.” I went on to take a lot more science classes like Honors Chemistry, Honors Physics, I took AP Physics, AP Chemistry, AP Biology, AP Environmental Science, and I went on to major in it, because of that influence from ninth grade. Why did you become interested in teaching? If I reflect on it, I really was interested from basically as long as I can remember, which is a running trend in my life. I remember from like first or second grade, I would look at the teacher and [think] “how would I do this?” and I thought everybody did that, but no. But I didn’t really consider teaching at all. I tutored a lot in high school, I tutored in college, but I started out my college as a pre-med, like everybody who does biology, and then I shadowed physicians, and realized that I really, really hate that career. You don’t see these people every day, you see them maybe once a year and they’re unhappy all the time, and I was just not for that. I tutored more seriously in college and I realized that I’m pretty good at it and I’m really excited about this, so I decided to pursue it as a career. What are you most excited for in your first year teaching at CHS? Mostly the relationships with my students. Kids are really funny, and I’m just excited to make some friendships with my students. To be a part of CHS. Usually it takes me a while to feel at home in an organization. So far, CHS has been very nice to me, and I feel already at home, but my goal by the end of the year is to feel like I really, really belong here and I’m here to stay. What is your favorite part of teaching Physics and why? I like that it’s very applicable. With chemistry, biology, yeah they’re applicable but it’s a very specific lab setting. Like chemical reactions and stuff. But with Physics, it’s like the law of the universe you’re observing. If we do collision tests, that’s something that you can see in like a car accident. That’s what I like the most about it, that I can tell kids, “you’re going to use this information”. When it comes to passion for science, that teacher I mentioned is definitely one. 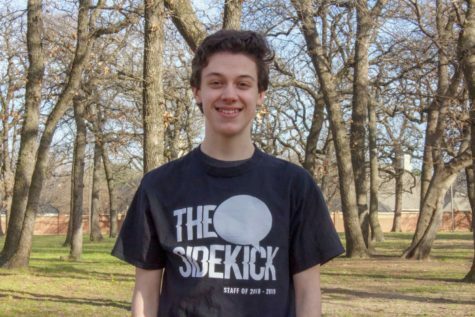 When it comes to caring for students, I had a teacher in 10th grade [Laurie Kelley, Colleyville Heritage High School]—I transferred to Texas from California in 10th grade, and as with a lot of new transfers, I had a lot of trouble making friends. There was a teacher, my World History teacher, who gave up her conference every day for two weeks to talk to me and make me feel at home at that school. She was an inspiration for relationship building and what I could do for students. Career-wise, other Physics teachers, they’re being a super big inspiration to me. They’re so good at teaching, and they’re so passionate about what they do. I like certain video games. I don’t play Overwatch or Fortnite, but I mostly like indie video games like Papers, Please, Mini Metro, Life is Strange, EU (Europa Universalis) IV, those kind of games. What would you say has been your biggest life challenge or struggle? Giving up pre-med in my sophomore year was really tough, because I felt like that was the goal that I set and pursued for so many years, and realizing that a goal that I thought I wanted to do in my life was not for me, and I need to find a new goal, that was very challenging. What would you say is the most unique thing about yourself? Being honest is a weird thing about me. I’m a little too honest. Like at my last job, kids would ask me very personal questions, and I wouldn’t think, I would just answer and [think], “No, I shouldn’t have answered that! I should not have told you that!” I’m kind of a little more talk first with the truth, and think about what I said later type. Is there anything you think I missed or anything you would like to add? I’m just really thankful to be here and I’m thankful for the admins, the principal and the APs that are supporting us, and other teachers, because being new, I have a lot of questions, and I have a lot of doubts, and they’re always there to tell me, “your doubts are OK, your concerns are OK, we’re there for you.” And I really appreciate it.